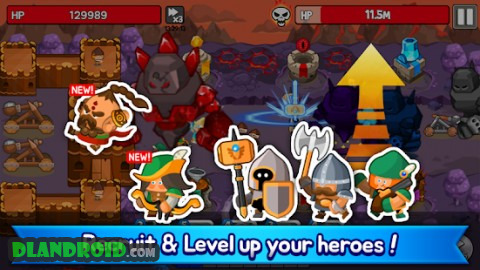 Grow Tower: Castle Defender TD is a Arcade android game made by CookApps that you can install on your android devices an enjoy ! Defend your Castle and level up your Tower! Take up arms and brave the endless frontier in this age of war! Play endless defence games against oncoming castle creeps and monsters in Grow Tower: Castle Defender TD! Cleverly employ various HEROES and strategically place TOWERS at the best location to ensure certain victory against enemies. 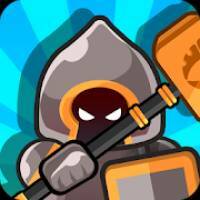 Your castle needs your tower defense strategy to survive the onslaught in this defense game! Upgrade, combine, enhance, level up, and GROW your tower defenders! The tide of battle relies on your fingertips: use Hero SKILLS at the right time to turn tables on your enemies! Drop massive METEORS, freeze BOSS MONSTERS, stun and knockback enemies with various defense skills! Ensure your victory with skills and TD strategy! Only defeat awaits those who do not train and prepare for battle! 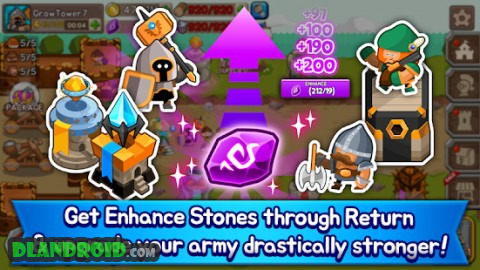 Teach those invaders to not mess with your cartoon mini warriors and beefed up towers! Build your Towers, rally your Heroes, and defend your Castle! Play Grow Tower: Castle Defender TD NOW! How many waves can you clear? *NOTE: Grow Tower: Castle Defender TD is a game in continuous active development! This means new features are constantly being added, so please leave us feedback on how we can improve the game! – Read external storage (photos, videos, files): Required for access to graphic settings/cache applicable to the game and ads. 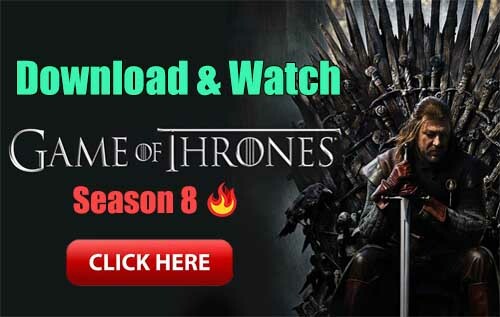 – Advertisement freezing has been fixed. – We are try to make your game experience even better!